‘The Mighty Boosh’ duo Noel Fielding and Julian Barratt have reunited for a brand new comedy movie which has been amusingly dubbed an ‘anti rom com’. Just as intriguing as it sounds, ‘Brakes’ is chock-full of some of the finest British acting talent we have today. Set in London, this dark comedy follows a set of nine very different couples who are all going through some kind of weird break-up. As unusual as the reasons behind their separations are, it’s nothing compared to what we later discover about how they met and fell in love in the first place. 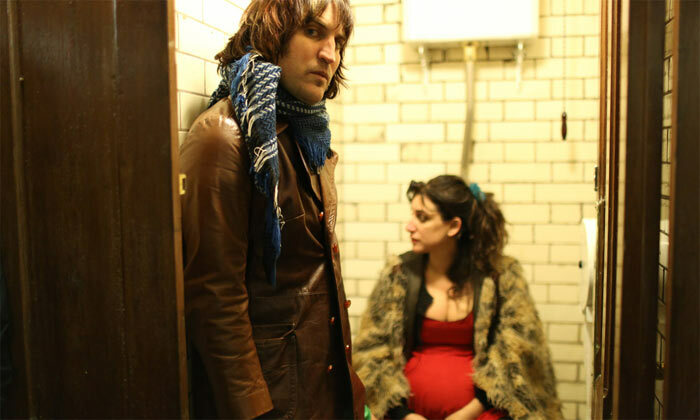 It has been directed and written by Mercedes Grower in her filmmaking debut; an actress who previously starred alongside ‘Brakes’ cast members Noel Fielding, Julia Davis and John Milroy on 2010 drama ‘Come on Eileen’. She also appears in the film itself as the character Layla. What gives the film it’s unconventional edge is that the script is based entirely around improvisation, making the comedic moments completely raw and authentic. It’s no surprise then that it was nominated for the Michael Powell Award for Best British Feature Film at the 2016 Edinburgh International Film Festival. ‘Brakes’ is in theatres now, and also stars Martin Hancock from ‘Cradle to Grave’, ‘Doctor Who’ star Paul McGann, Peter Wight from ‘Hot Fuzz’ and ‘Sightseers’ star Steve Oram.